What is SONA and the Subject Pool? The Subject Pool is the term that we use for a group of PSY 100, 215, and 216 students who are willing to participate in research studies as a part of their educational experience. 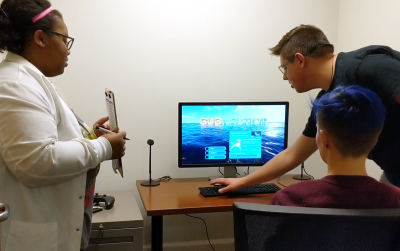 Our faculty, graduate students, and other advanced-level students conduct research experiments and collect data from the participants of the pool in order to further our understanding of human behavior. SONA is the online system that we use to manage the Subject Pool. This is where studies are posted, and participants can login to learn more about the studies, and sign up to participate in the studies they find interesting. You MUST be registered in the SONA online system. This includes credits for the “screening” survey, face-to-face and online studies, and alternative assignments. WE CANNOT RECORD YOUR RESEARCH PARTICIPATION CREDITS IF YOU HAVE NOT REGISTERED. Therefore, it is important that you register as soon as possible. Your User ID is the part of your UK email address before the @ symbol. Use the digits of your student ID number, but remove the leading “9”. Once you’ve registered, a password and logon ID will be sent to your email account within several minutes from the Webmaster (i.e., the Subject Pool Administrator). If you do not receive this email, an error may have occurred. Contact the Subject Pool Administrator immediately to correct the problem. * Be sure to check your Spam/Junk email folders, and configure your email filters to accept emails from uky-admin@sona-systems.net. If you are enrolled in PSY 100, you are asked to complete SIX (6) hours of research exposure. You can receive one (1) credit by filling out the screening survey during the first two weeks of the semester. Three (3) credits can be gained by participating in online studies. Remaining credits can be gained by participating in in-person studies, or by completing alternative assignments. You may complete alternative assignments instead of participating in-person studies or online studies if you prefer. *Only half (50%) of your credits can be gained through online studies. **The Pre-Screening Survey DOES NOT count as an online study. If you are enrolled in PSY 215 or 216, you are asked to complete FOUR (4) hours of research exposure. Two (2) credits can be gained by participating in online studies. Remaining credit can be gained by participating in in-person studies, or by completing alternative assignments. What if I am enrolled in more than one of these courses? If you are enrolled in two of these courses at the same time, you must meet the requirements for both courses. For example, if you are enrolled in PSY 215 and PSY 216 in the same semester, you have 8 required hours of research exposure for that semester. Only half of your earned credits can be through online studies. Only 4 credits (2 credits for PSY 215, and 2 credits for PSY 216) can be earned through online studies. What is the Pre-Screening Survey? You can earn ONE (1) credit for participating in a "screening" survey that is posted during the FIRST TWO WEEKS of the semester. 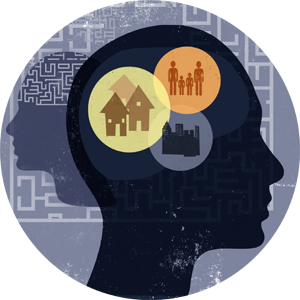 This survey involves filling out psychological questionnaires online. You should consider participaing in this survey if you intend to participate in face-to-face or online surveys. You can fill out the pre-screening survey even if you do not wish to participate in follow-up studies. The pre-screening survey does NOT count against your "online" study maximum. When should I complete the studies? The Pre-Screening Survey is available ONLY DURING THE FIRST TWO WEEKS OF CLASS. This is an easy credit to earn, so please be sure to take the survey within the first two weeks of class. Both online and in-person studies are posted by the researchers. Sometimes there will not be enough studies posted for all students, so be sure to check the studies often and sign up for studies that you are qualified for, are interested in, and that work with your schedule, before they fill up. Many students procrastinate and get into trouble if they delay completing alternative assignments. Please do not wait! Aim to complete 1-2 alternative assignments by midterm. What if I can't find any studies? Alternative assignments include reading and evaluating an approved article written by one of our department faculty, and then writing a 1-2 page article summary describing what you learned and answering a few questions. One research article summary is worth 1 credit hour of participation. For more information on Alternative Assignments, please click this link. 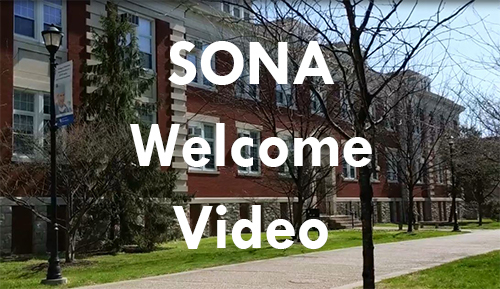 *You must be registered with the SONA system in order to receive credit for the alternative assignments. All studies eligible for SONA credit have been reviewed by the Institutional Review Board at the University of Kentucky, meaning that a group of experts other than the researchers involved have determined that the research procedures meet strict ethical guidelines. In addition, researchers will explain all experimental procedures and ask for your consent prior to beginning your participation. You are free to stop participating at any time during any study, or to refuse to complete any procedure, if you become uncomfortable. **For more answers to frequently-asked questions, please look at the FAQ page. If you have any complaints about a study, please contact the study’s Principal Investigator (PI). You can find this information by going to the study description in SONA, or by finding the name and contact information on the consent form or debriefing form. If you do not receive a response from the PI, or you are not satisfied with the response, you can contact the SONA Administrator at uksubjectpool@gmail.com.